As you might have guessed from the title of my blog, I’m a genuine dog lover. My parents and I owned a German shepherd many years and, even though we had to put him to sleep in 1985, we still remember him fondly. I feel I saved my current dog from what could have been an unhappy life, when an ex-roommate and I agreed I’d take the puppy. It remains one of the best decisions I’ve ever made. There’s nothing like a dog! I hate to see dogs – or any animals – suffer because of human neglect and stupidity. Animal lovers just don’t understand of course. But, most of them are idiots anyway, so I don’t care what they think. 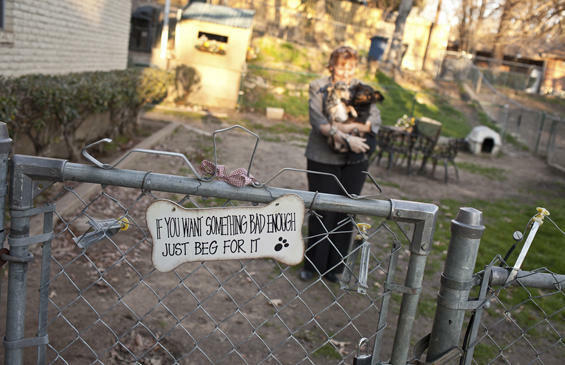 It’s obvious that, in a city as populous as Dallas, there’d be countless cases of animal trauma – and animal hoarding. This extraordinary editorial that appeared recently in the truly independent Dallas Observer highlights the problems the city faces with dog hoarders.